NYC Recession Diary: East Village Tavern - 2 Hr OPEN BAR tonight! 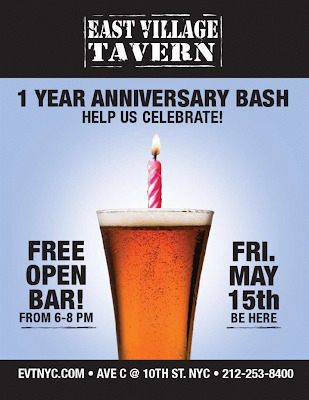 East Village Tavern - 2 Hr OPEN BAR tonight! Tonight I'm doing laundry, cleaning my bedroom and bleaching my bathroom, but that doesn't mean you can't drunk after work - for free. But remember to tip your bartender! Cheap bastards.